Happy new year! Let’s welcome 2015 with a magical look that’s perfect for all the adventures waiting for us. For this look, I chose the book that started it all—“it” meaning my love for books, especially YA fiction: Queen J.K. Rowling’s Harry Potter and the Sorcerer’s Stone. We all love ‘arry and the gang so I’m going to start with the tutorial now before this becomes a Harry Potter appreciation post. I have been getting compliments on the way I do my brows (thank you!). Now my brows aren’t entirely non-existent so there’s no need spend extra time on them. 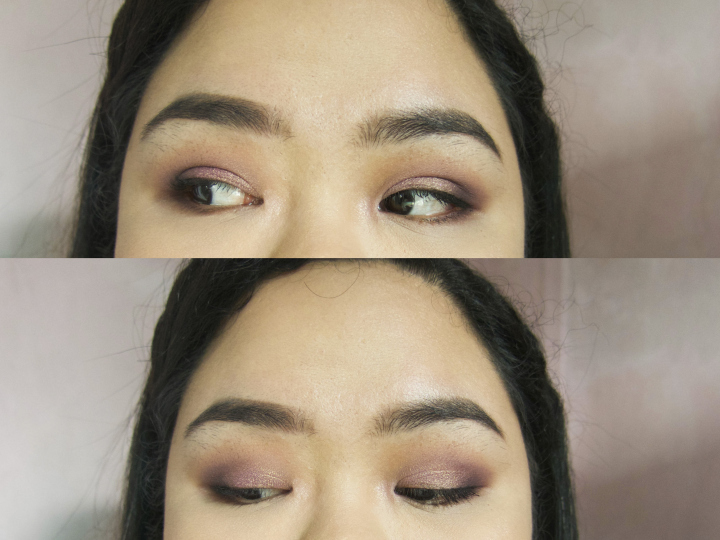 Using a stiff angled brush and my holy grail brow product, Anastasia Dipbrow Pomade in Ebony, I define my brows as close to its natural shape as possible. The pomade gets a bit of getting used to but this tutorial by Sam of Pixiwoos helped me tons! 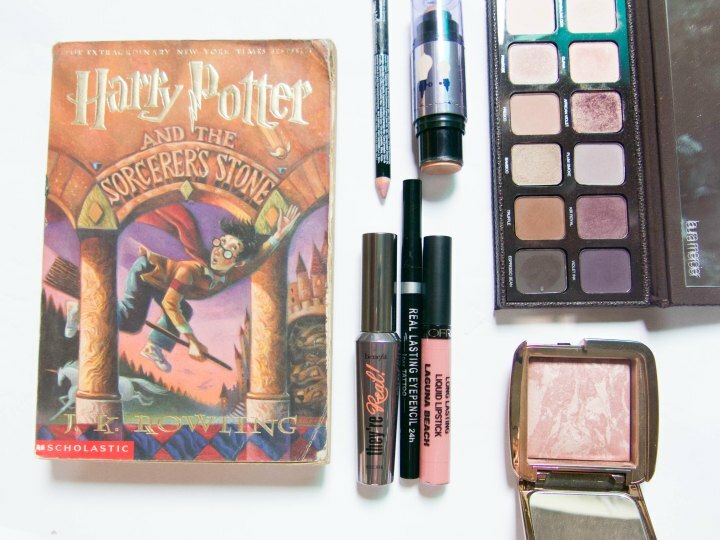 This Scholastic cover of Sorcerer’s Stone has many violets and pinks so I picked Laura Mercier Artist’s Palette for Eyes (2013). Start with Two Faced Shadow Primer on the lids and using a fluffy blending brush (MAC 217) do a soft wash of Primrose all over the mobile lids. With the same brush, get some of Fresco and put it on the crease, blending towards the brow bone. This will act as the transition shade. Switch to a pencil brush and add a little bit of Kir Royal on the crease. Then with the same brush, add Violet Ink on the outer v.
The lid color is African Violet, a gorgeous shade of violet with copper shimmers. The lower lashline should sort of mirror the lid situation so get some of Kir Royal halfway on lower lashline and Violet Ink on the outer corners. Tightline using a black waterproof pencil liner (K-Palette 1 Day Tattoo Real Lasting Eyepencil in Super Black), curl your lashes, and put on mascara (Benefit They’re Real!). To brighten up the eyes, put a tiny bit of Guava on the inner corners. Don’t forget to prime your face so your makeup stays on longer (Benefit The Porefessional in my case). Then you can put foundation on. I used NARS Sheer Glow Foundation in Barcelona for this look. As for the rest of the face, conceal (MAC Pro Longwear Concealer in NC35), set with powder (Ben Nye Luxury Banana Powder), contour (The Balm Bahama Mama), and highlight (Benefit Watt’s Up!) to your liking. I added a bit of Hourglass Ambient Lighting Blush in Mood Exposure on the apples of the cheek for a natural-looking flush. 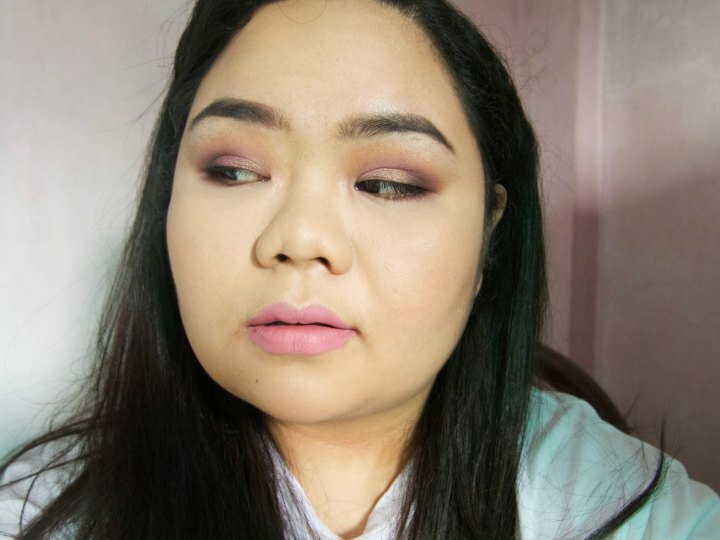 Because the eye makeup is slightly bold and smoky, I paired it up with a light-ish lip shade. I lined my lips first with NYX Slim Lip Pencil in Pale Pink, then put on a light pink lipstick, Ofra Cosmetics Liquid Lipstick in Laguna Beach. And that’s FaceBookIt Look #4! I hope y’all like it! Hi KB! 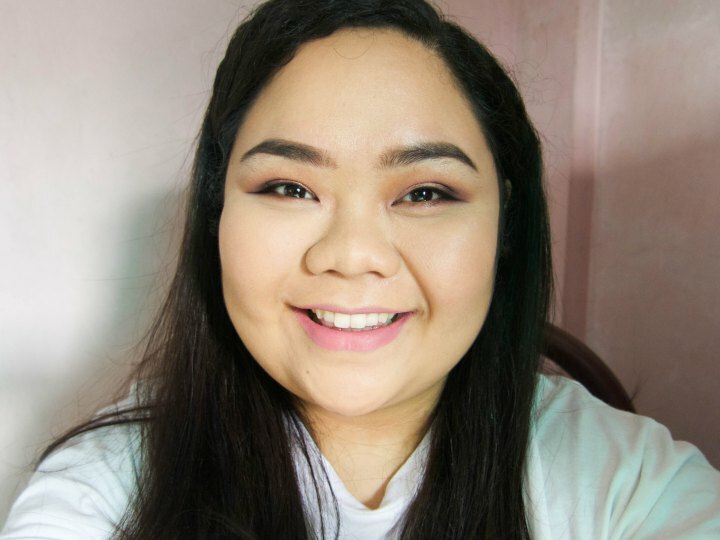 I only have 3 makeup primers – Benefit The Porefessional (favorite), Ellana Minerals Let’s Make It Last Primer, and Missha The Style Makeup Base. I want to try Hourglass’ face primer, it’s supposed to be the best in the market, but it is SO expensive. I can give you the sample I have from the ambient lighting palette. Thank you for reading, Carina!